We are pleased to advise you that we have launched a Mothers Day sale on our Etsy Store giving 20% off our usual prices. 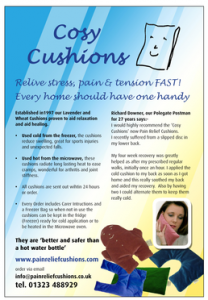 Many athletes and sports people as well as families, including children use our Wheat Cushions for pain relief caused by bangs, sprains or medical conditions. This offer is for a limited time only wef 13 – 26th March, so we hope you get your wheat cushions asap. 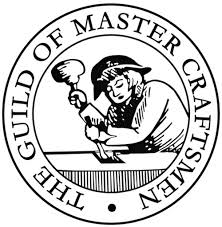 Pain Relief Cushions are members of the UK’s Guild of Master Craftsmen. Every order is filled and finished when the order is received and Care Instructions included for every client. Here are the latest videos for www.painreliefcushions.co.uk showing details of the different wheat cushions and how to use them. They can all be purchased from the website. Having been established since 1997, we have used our experience with wheat bags and natural healing, to put together wonderful, locally sourced british ingredients to create our range of luxuriously soft and scented wheat bags. We have gone further by designing over 10 different designs that mold to your body countours to give immediate relief and comfort. Currently hosted elsewhere but to join us shortly. Sites are still active so have a look if you are interested.